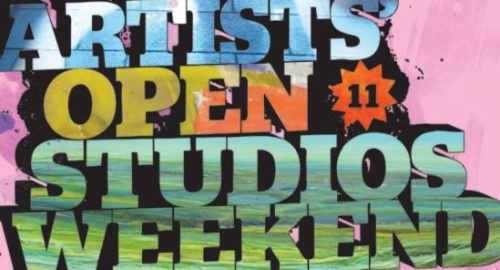 The Artists’ Open Studios Weekend lets the public see what Wasps does as an organisation and gives a rare opportunity to see inside the studios and meet artists in their working environment. Artists open their doors to visitors and showcase their drawing, painting, jewellery, sculpture, printmaking, video, stained glass, ceramics, batik, installation, performance and much more. Click here for a flavour of the kind of work that will be on show. Since the event began in 2002, visitors have had the chance to meet artists in their studios, chat to them about their work and learn the tricks of a number of different creative trades. The event is a key source of sales, income and commissions for the artists. Also taking part in the Open Studios Weekend is the Merchant City Briggait venue, plus other Wasps sites throughout Scotland. 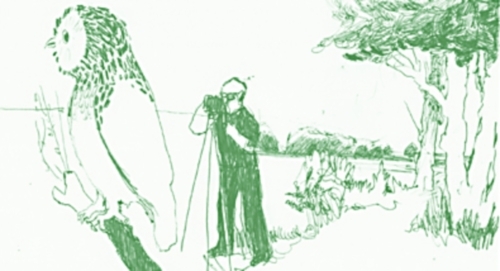 The Market Gallery Dennistoun Drawing Lab is a drawing resource space bringing together a number of natural history artefacts from some of Glasgow’s finest public resources into a single location. Designed and facilitated by Anna Tanner and Simon Harlow, the Lab offers a meditative space to study, develop and improve your drawing skills. There will be a series of free drawing classes and lectures available for children,young adults and adults. Limited spaces so come early or contact the gallery via market@marketgallery.org.uk or on 0141 556 7276 to confirm availability. The preview evening takes place on Friday 30 September from 6pm to 9pm. 16+ drop in sessions will be available from 6pm to 8pm on Thursdays 6th, 13th, 20th and 27th October. Small children & parents class available between 12 noon and 2pm on Saturdays 8th, 15th, 22nd and 29th October. The Lab is otherwise open from 11am to 5pm on Wednesdays and Thursdays, and 11am to 8pm on Fridays, Saturdays and Sundays until Sunday 30th October 2011. The Easterhouse arts space Platform are holding their weekend-long Eastern Promise festival this weekend, a celebration of music’s transporting power, highlighting the best and most interesting music from the UK and beyond. Friday 30th September 2011: Tarwater, The Thing, 7VWWVW, Withered Hand (Solo), and Nancy Elizabeth. 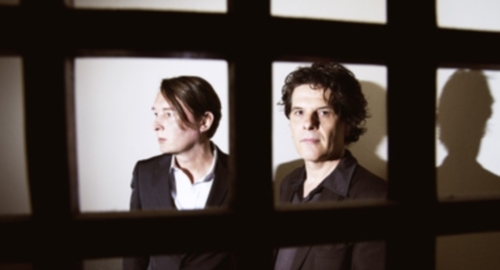 Saturday 1st October 2011: To Rococo Rot, The Pastels, Silje Nes, Conquering Animal Sound, and Animal Magic Tricks. The Scottish Independent Record Fair will also be in residence on the Saturday night. Doors 7pm. Weekend tickets: £15/£10(Local Links)/£5(under 16s). Day tickets: £10/£6(Local Links)/£3(under 16s). Tickets from Platform Box Office, Monorail, Tickets Scotland, and Seetickets. The regular 41 bus from Glasgow city centre, via Duke Street, passes the venue. Return buses are also available from Mono in Kings Court for £4. the duchy is a gallery working with recent graduates, emerging artists, more established practitioners and other artist-led initiatives. 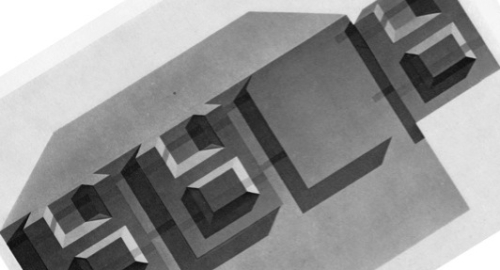 There is an opening night from 7 to 9pm on Friday 30th September 2011 for ‘Masterslice’, an exhibition by Neil Clements, Sam Derounian and George Ziffo, exploring the linguistics between three different painting practices. The exhibition then runs from Saturday 1st to Saturday 22nd October 2011, open Fridays and Saturdays, 12 to 6pm (or by appointment) at 23 & 25 Duke Street Glasgow G4 0UL. David Dale Gallery & Studios has a commitment to providing opportunities and supporting the development of early career contemporary visual artists, curators and creative individuals. 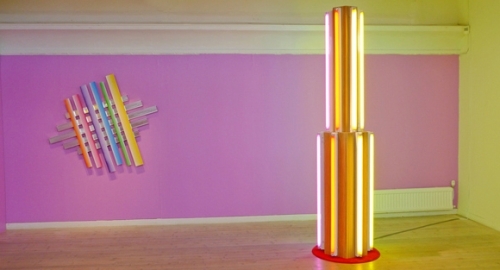 Danish artist Sören Hüttel is currently in residence, exhibiting ‘The Eclectic is Now’ featuring colourful work in neon and plastic. Open Friday to Sunday, 12 noon to 5pm, or by appointment until 27th October 2011 at 71-73 Brook Street, Bridgeton, Glasgow, G40 2AB. 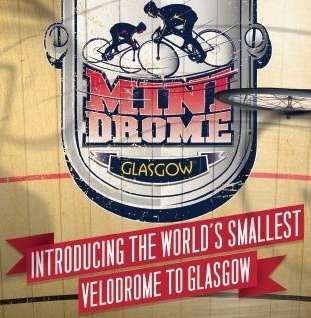 The world’s smallest velodrome is coming to The Old Fruitmarket in the Merchant City on Sunday 2nd October. 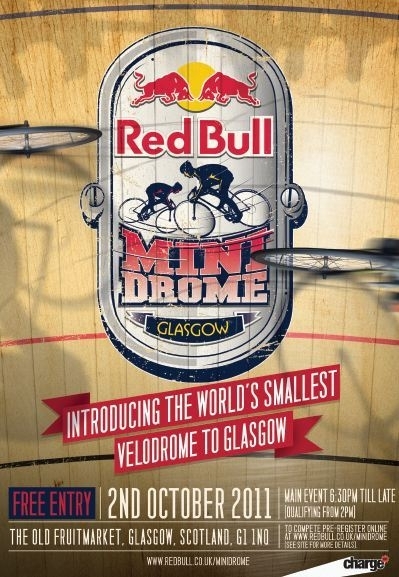 Over a 100 competitors will have the opportunity to qualify in a single timed race on the unique and technically challenging course, reaching speeds of up to 80kph (50mph) . The racers with the quickest time across 10 laps will progress through the competition to the finals, which will be a single pursuit race format. Qualifying from 2pm. Main event starts at 6.30pm and runs until late. Free entry, capacity of 400, first come, first served.